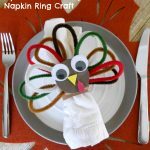 This candy corn craft is suitable for a wide range of ages – perfect for Thanksgiving and Halloween parties! *Don’t have tissue paper? 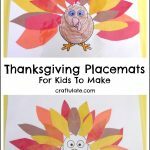 This craft would also work well with small pieces of construction paper and/or scrap paper! 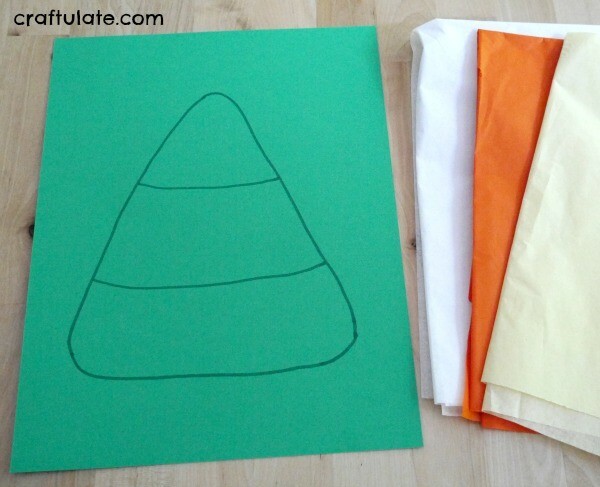 To prepare the craft, draw a candy corn outline onto the colored card. 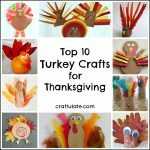 Depending on the ages of the children you are working with, either cut up the tissue paper into little pieces or let them do it! Make sure you supervise scissor use at all times. My four-year-old loves his scissors right now, so he chose to help with this stage. Work on one color at a time, adding glue to each section, then filling it with the correct color tissue paper. We chose to scrunch up the tissue paper into little balls first for a nice textured picture. 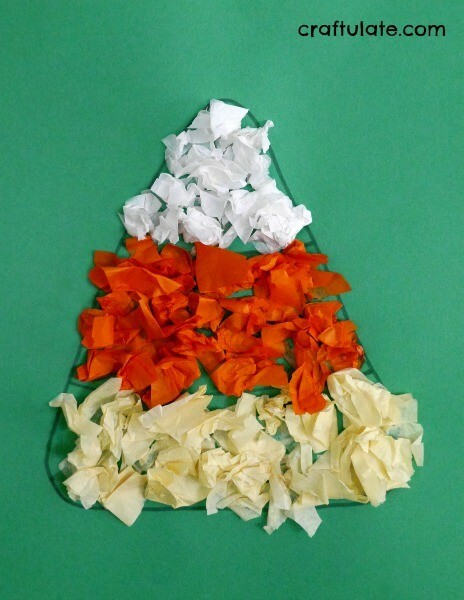 If you’re using other kinds of paper it may not be possible to scrunch them! Finish the three sections, then let the glue dry. So easy!